Adidas is starting 2017 with an absolute knockout. 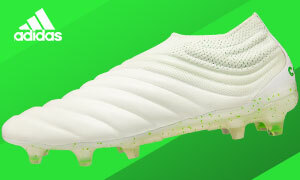 With a roster brimming with quality and a stable that finally seems ready to take the fight straight to the Swoosh, adidas soccer is going for an extreme blend of modern and classic for their newest color pack to kick the year off right. 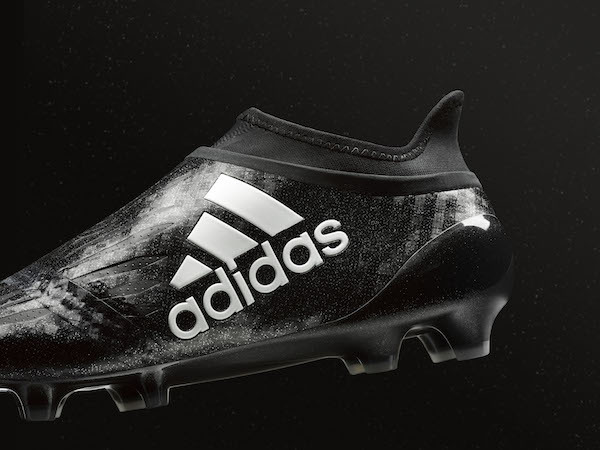 The classic nature of the blackout joined with a modern pattern of the flashy checkered look painted onto the entirety of the adidas line-up…it’s a winner. 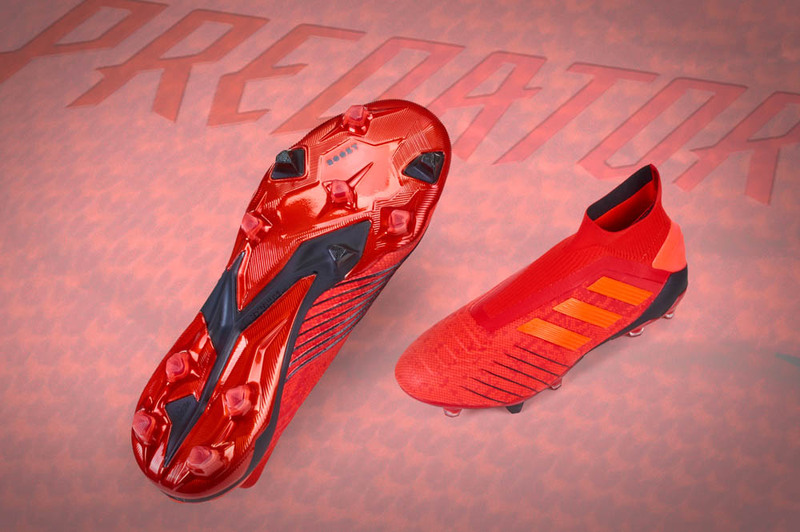 The early battles are coming up all adidas, and we’re anxious to see where the boot race goes from here. 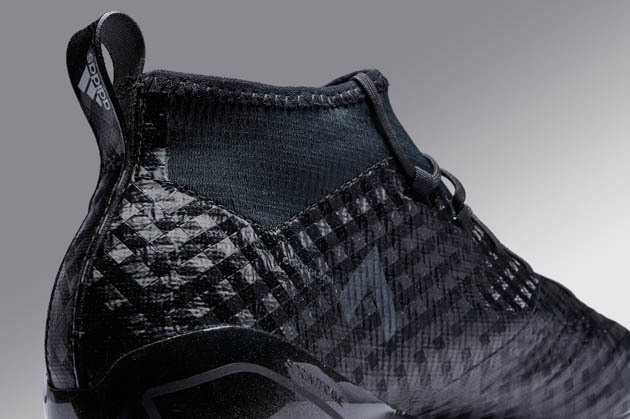 The Copa 17.1 might be the winner of the Checkered Black Pack despite being the simplest. 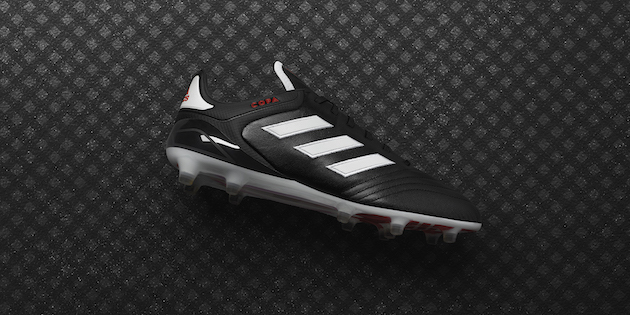 While it is missing the checkered look and sheen of the other boots in the pack, the new Copa looks like a perfect match for black. The kangaroo leather boot blends together with that colorway like hot chocolate and marshmallows, a silky color and fluffy comfort…made for each other. The X 16 gets the award for looking the most menacing out of the Checkered Black pack. The boot is crafted to look fierce and embody the ideal of “chaos,” so it makes sense that a dark get-up would be great for the X. 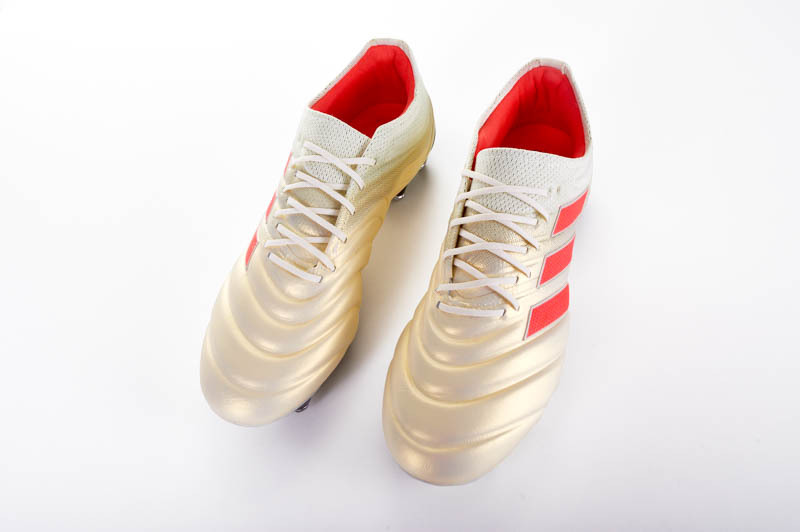 The PureChaos is a magical look when combined with the silver adidas logo on the side, and there isn’t a footy fan on the planet that won’t think these boots are gorgeous. 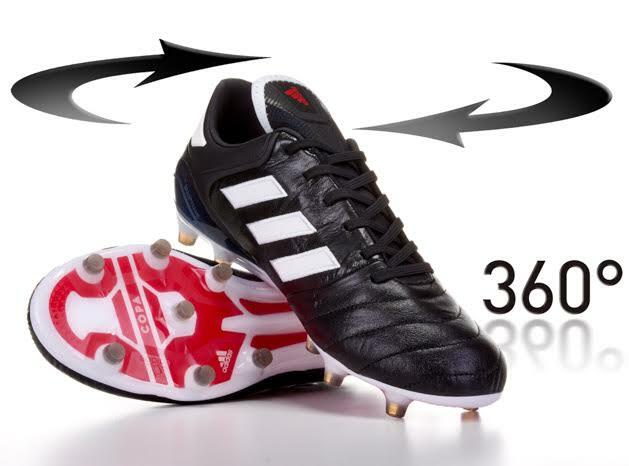 A boot that combines a padded touch with a great fit, the X 16 took a huge leap from the original X 15.1 and is a tough boot to not see as the pinnacle of adidas gear on the market. The ACE 17 models have now safely navigated two colorways perfectly. The first was an homage to Predator-lore, and the newest model is a sleek battleaxe ready for action. 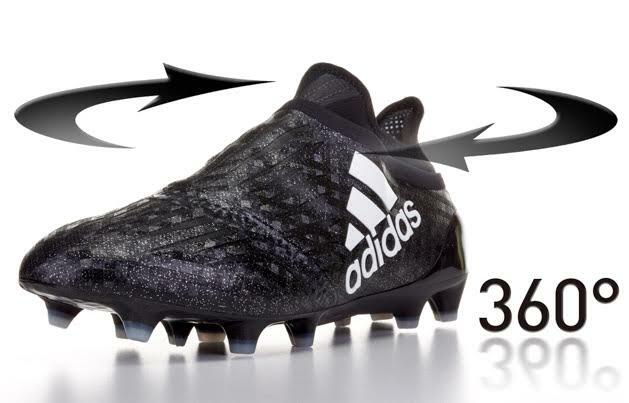 Combine the updated look with something that fans have been clamoring for since launch (the updated collar on the ACE 17 PureControl), and the ACE 17 is ready to blast into the new year. The ACE 16 PrimeKnit was the underrated master of the adidas line last year, and it looks like the ACE 17 PrimeKnit might fill the same role in 2017. If bossing the game is your aim, the ACE is the perfect tool of the trade. 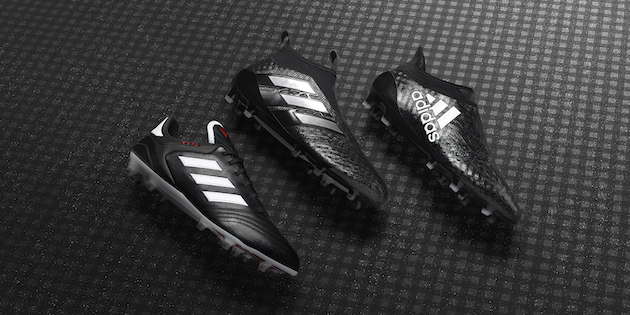 Dominate the pitch in style in 2017 with the Checkered Black Pack and join up with the revolution. It may have started in 2015, but the revolution is finally coming of age in 2017. 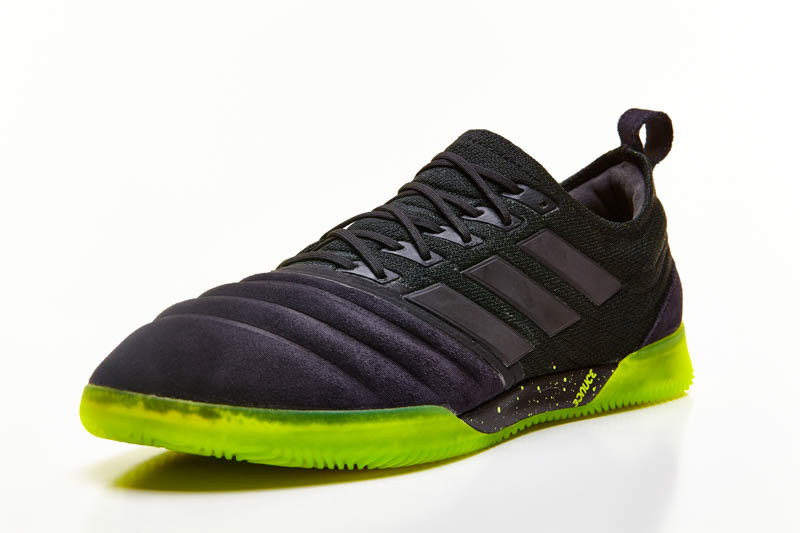 We were pessimistic when the revolution began, but the three stripes no longer feels like a ship tottering on the uncertain waves. Adidas is here to own 2017…it’s time you hopped on the train before it leaves you behind.